New Delhi: On Wednesday, the residents of Delhi and NCR woke up to a dense fog that reduced visibility on the streets and roads. Because of the dense fog today in early morning, domestic and international flights from Delhi airport are being delayed. But, Air India officials said that there is no need to panic. They also said that air service is still not affected due to the fog. Further, the Air India officials said that with visibility dropping to around 300 m at Safdarjung and 125 m at Palam, some flights may be diverted. Officials of the India Meteorological Department said that the runway visibility at the Indira Gandhi International Airport had hit 200 m early in the morning on Wednesday. 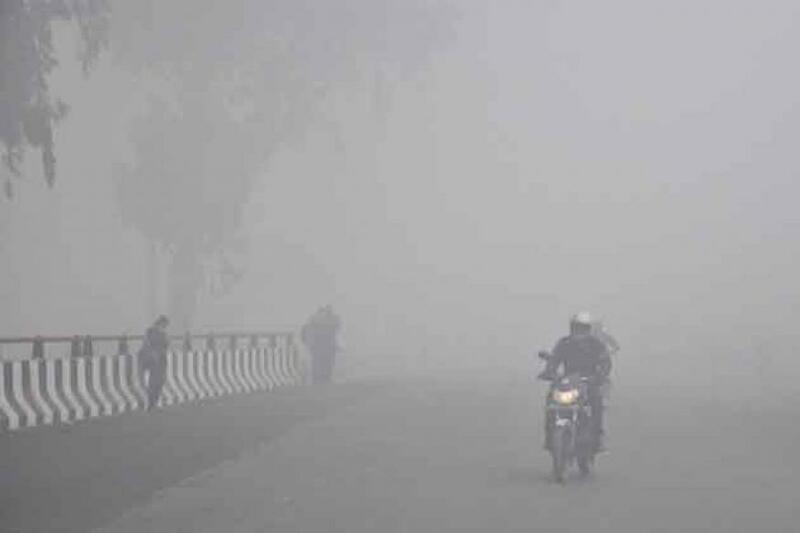 Weather experts from the Regional Meteorological Centre had predicted that dense fog may be experienced over Delhi, NCR and some parts of Uttar Pradesh over the next few days owing to change in the direction and speed of the winds. Wind speeds have reduced drastically over the last few days, with the highest wind speed recorded at 6 km/h on Tuesday. The wind is now more likely to blow from east and northeast directions starting November 30 to December 3. As per the reports of the scientist at Regional Meteorological Center that the winds are expected to bring more moisture, thereby reducing visibility in the region. The dispersion of aerosols will also reduce and consequently shallow to moderate fog is likely to occur at many places over UP and Delhi NCR, with isolated dense fog episodes over the next four days. The residents of Delhi and NCR can feel the minimum temperature to be around 8-10 degrees Celsius in the next few days. On Wednesday, the maximum temperature is expected to be 29 degrees Celsius and the minimum temperature will be 10 degrees Celsius.